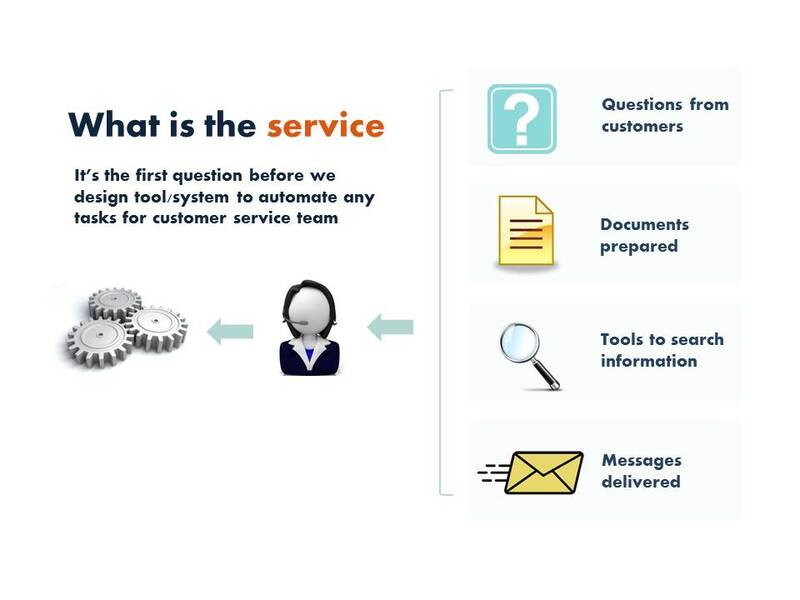 Recently, we are in high-level design stage for automating some steps of importing and exporting processes; for which regional customer service team is playing critical roles. During the last session with clients today, it hits my mind that some questions should be asked before any process/system design. We need to understand what the customer service is, and which can be automated and which cannot or should not. And, of course, after automating some tasks, what is the impact for customer service team; what is their concern and benefit? Automation is to facilitate human work and improve efficiency; not to make the work too high-tech and complex.